Posted on Monday, March 31, 2014 by "T". 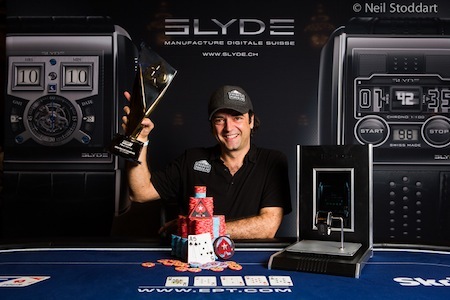 On Saturday, Fabrice Soulier laid hands on the €10,300 High Roller at EPT Vienna (Austria) title and 392,900 Euro in prize money. The Frenchman, who has been a regular on the EPT since Season 1 and has over $5m in tournament earnings, was overwhelmed by the win even though it wasn't in his top three cashes. "It really means a lot," Soulier told PokerStars blog. "I am getting so emotional. When I arrived in Vienna, I thought something was great here...Now I am one of the lucky ones with a title."